Our physical therapists perform their therapy in a soothing, gentle manner. We will educate you on the proper way to perform various exercises and techniques. The work of our wonderful therapists will greatly accelerate the relief of your shoulder pain by restoring proper shoulder motion sooner. Thankfully, many patients with rotator cuff tears will not require surgical treatment. 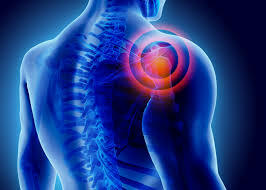 In most cases, physical therapy will be enough to remedy your shoulder issue. Call Somersworth Physical Therapy today to learn more about our programs and how they can help relieve your pain. Yes, I would like to receive newsletters from Somersworth Physical Therapy. Copyright (2018) Somersworth Physical Therapy. All rights reserved.